Paddle, paddle, paddle . . . I started to write my blog about a week full of paddling and ended up with more bird banter than paddle prose. Oh well, nevermymind . 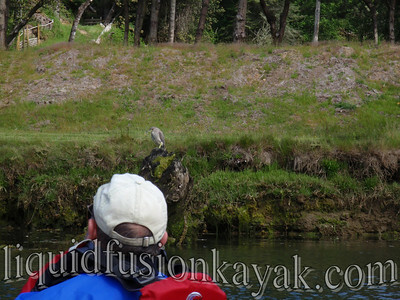 . . check back soon for a paddling update or take a gander at our photo gallery to see our paddling adventures. This week, we have seen lots of great wildlife including lots of babies. On the Noyo River, the mother merganser duck and her tribe are probably my favorite, and I haven't gotten a photo of them yet. I love the way her ducklings take turns riding on her back. The violet green swallows have been swoooping through the air eating insects and appear to have a nest in one of the pilings by our boat slip. We have seen the osprey snag fish, and the acorn woodpeckers continuing to work on their granary. Many of the black crowned night herons are in their breeding plummage, and the juveniles are just as goofy as ever. The air around the Noyo River is filled with the melodies of happy song birds. I was really stoked to see a Western Tanager with his brilliant colors shimmering in the sun. I have been regularly hearing the black headed grosbeak and have had a couple of sightings of him. We sighted an odd duck on the river that we still need to identify. Last night when we were hiking, we saw her with ducklings on a lagoon near the river. At first we were hopeful that maybe our beloved odd duck the Harlequin had found a lady friend, but it doesn't appear so. Regarding the mammals on the river, we are still watching for fawns to start appearing. There is a baby sea lion traveling about these days. He looks like a skinny teenager who hasn't grown into his body yet. 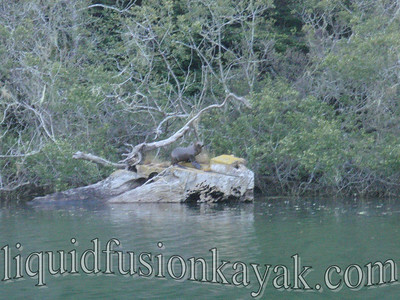 We have seen some harbor seals courting and the river otters frolicing about. I often feel as though I am immersed in a National Geographic episode but even better as there is no script. 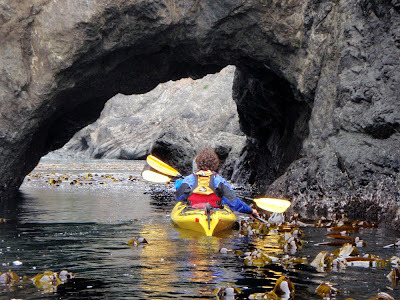 Mendocino sea kayaking from Jared Noceti on Vimeo. Yes, that is me in the orange sea kayak with a camera in my hands. I was recently reminiscing my most memorable kayaking trips. Numerous trips came to mind but 2 in particular have been on my mind lately - both included my mom. 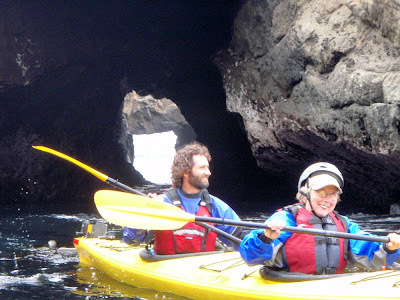 My mom is not an athlete or paddler but an enthusiast of life. She has kayaked a couple of times while on vacation in the Caribbean, but the first time that we kayaked together was on the Noyo River in Fort Bragg, CA. She was visiting me from Pennsylvania and flaunting and enjoying the perks of her new "Senior" status. Having gone to the Botanical Gardens and visited the Skunk Train, she was ready for a new adventure. We met up with some friends and enjoyed a sunny afternoon kayaking on the Noyo River. It was on this paddle that her enthusiasm and excitement over the birds that we saw sparked my interested in birding. In particular it was a green heron that perked my interest. The next day while I was at work, she bought me my first bird book. I have been fascinated by birds ever since and now call her to report my latest sitings. 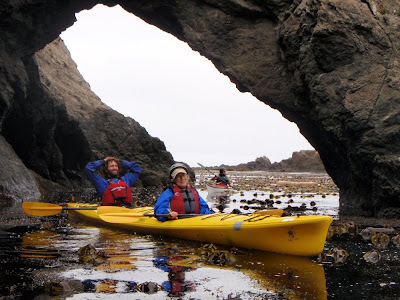 The other memorable trip that came to mind was sea kayaking from Russian Gulch to the Point Cabrillo Lighthouse. 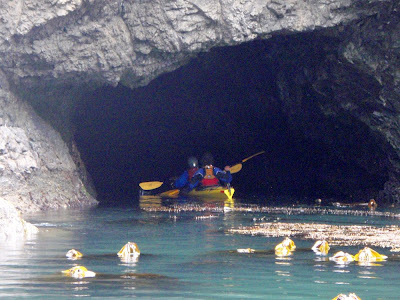 This is one of our favorite spots on the Mendocino Coast for rock gardening and exploring sea caves. My mom and Jeff shared a tandem sea kayak while my girlfriend and I paddled single boats. The ocean conditions were calm and glassy. 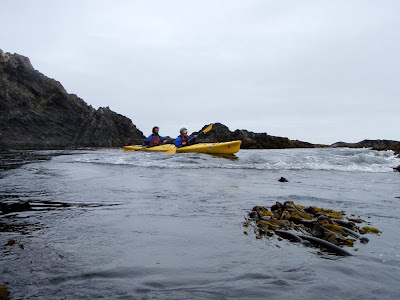 It was so exciting for me to be able to share this special stretch of coastline with my mom. 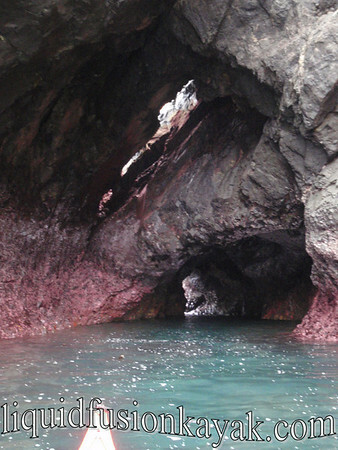 We were able to paddle into all of the sea caves and were dazzled by the vibrant colors of the caves and intertidal life. Mom still talks about the spectacular colors and the excitement of the trip. She even let Jeff take her over a couple of pour-overs (when an ocean wave washes over a rock - similar to whitewater on the river). Happy Mother's Day Mom, I love you!!! 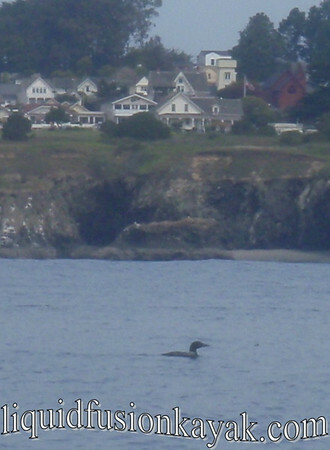 We knew it was going to be a good day when we met to determine our paddling plans for the day and were treated to a better than Sea World show of a baby gray whale breeching and spyhopping on his northerly migration. 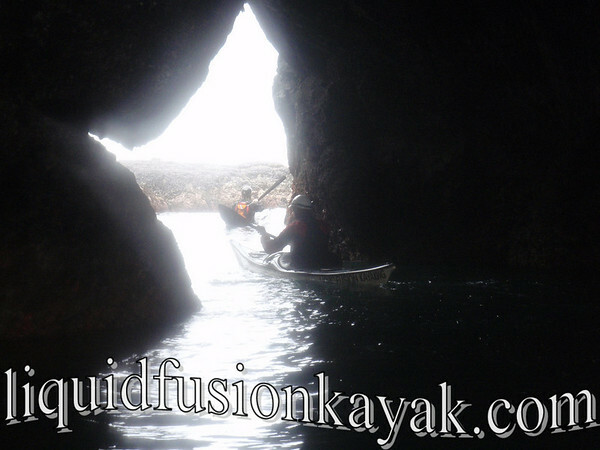 The day got even better as we paddled Mendocino sea caves that are rarely accessible and surfed long smooth waves in our sea kayaks.